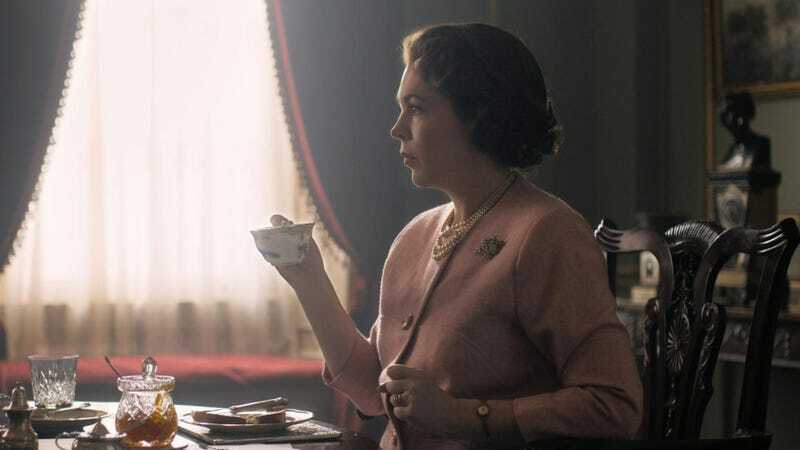 Netflix has released the first image from the next season of The Crown, which will see Claire Foy replaced by Olivia Colman. Here we have the new Queen Elizabeth staring into the distance, which wouldn’t seem like much of a preview, except that’s a good 45 percent of this show. It begins in 1963 and will cover events such as the rise of the Beatles and England winning the soccer World Cup in 1966. Characters such as Camilla Parker Bowles will also start to emerge in the next season. Tobias Menzies will be playing Prince Philip; Helena Bonham Carter will be Princess Margaret. Honestly, if you’re a monarch, you should really be able to get a better-lit dining room.